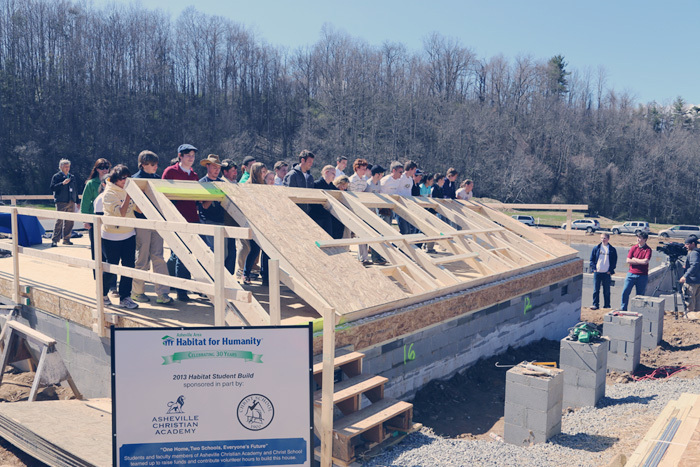 Christ School partners annually with Habitat for Humanity and other local schools for the Habitat Student Build. In addition to fundraising, students and other members of our community will spend thousands of hours working on the build site. Our student leaders participate in workshops and educate others about the need for affordable housing in Asheville and beyond. We look forward to working with our partners to provide a home for a special family in Shiloh. Please consider making a donation to the Habitat Student Build!